The table tops are made of HPL, ceramic and teak. HPL is available in white, anthracite, taupe and blackstone with an anti-fingerprint finish, and ceramic in dark stone grey. 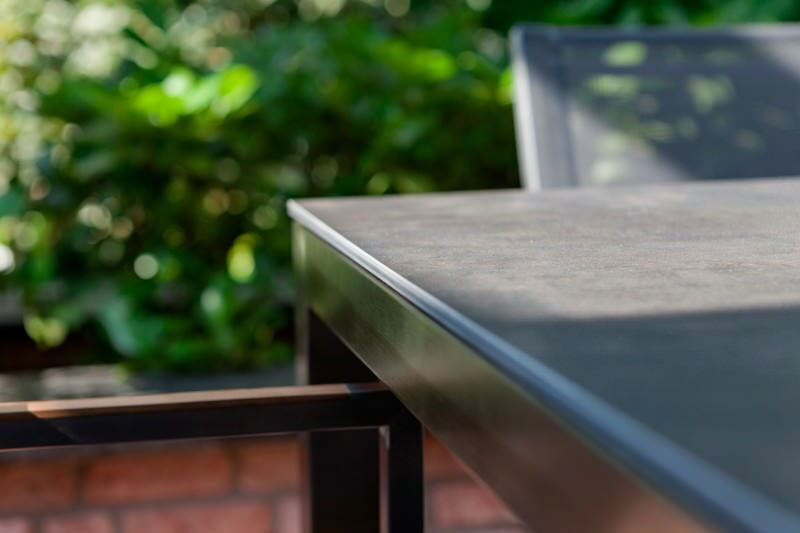 Garden table Primus if all you are looking for is “just” an entry-level table, then Primus is the one for you. There's nothing to pull out (which is instantly obvious from the price, but absolutely not from the quality). 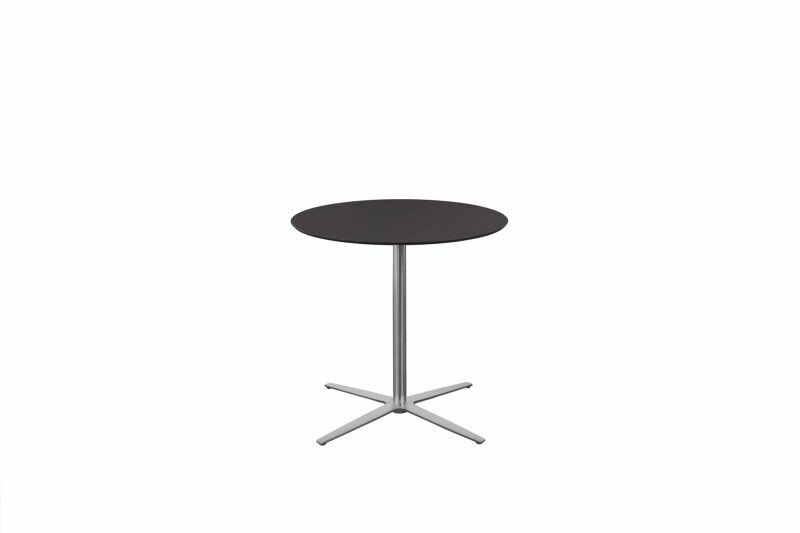 But it's available in 24 different sizes: Length 100|120|130|140|160|180|200|220 cm by Width 100|90|80 cm or as a table frame system in 27 different standard sizes or the size of your choice! 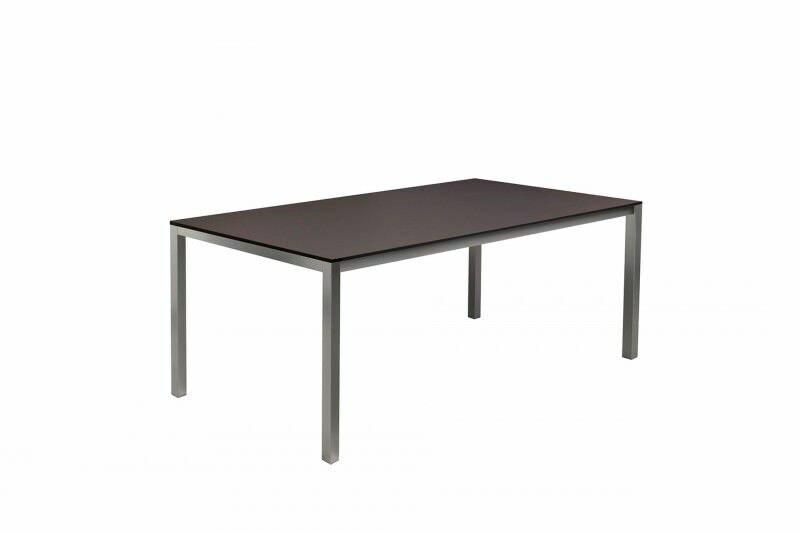 Choose your table frame for your individual table. You have the choice between three different widths 80, 90 and 100 cm and seven different lengths (100 cm - 220 cm). All frames in brushed stainless steel, with a square leg 45/45 mm. We will also be pleased to manufacture your own chosen size for you! 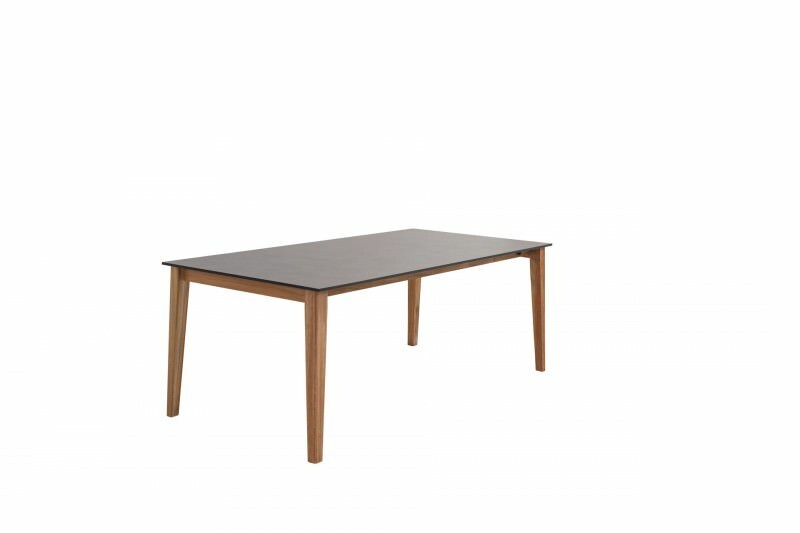 Seen here is LIGNUS with a teak frame and a HPL blackstone top. We also offer the combinations teak with dark stone grey ceramic or teak with teak. 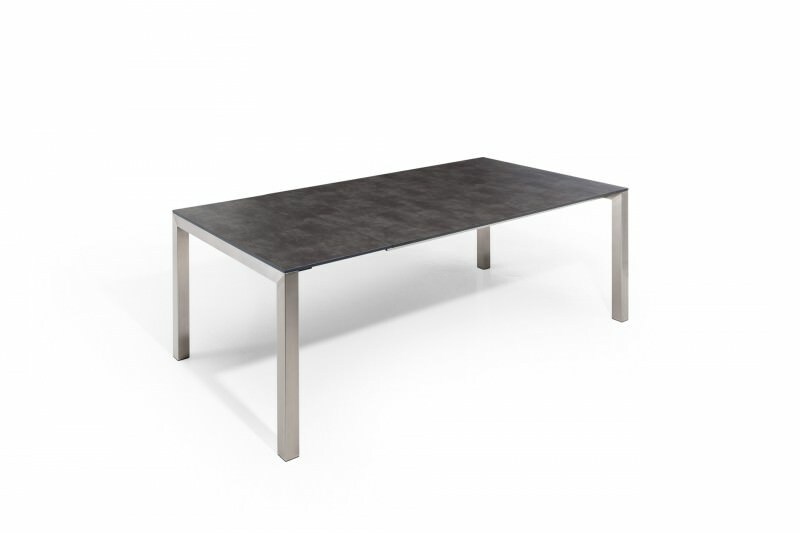 All the options are available as fixed versions of 160 cm and 200 cm or as extending tables with two extension leaves in 160/260 cm and 200/300 cm length. 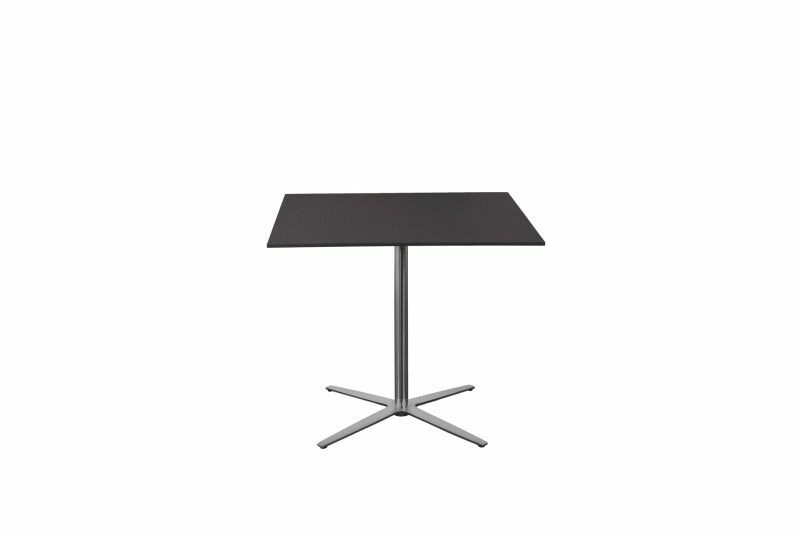 A table consists of four legs and a top. That's a fact that you really can't deny. But when it comes to the choice of materials, there really is plenty of scope. 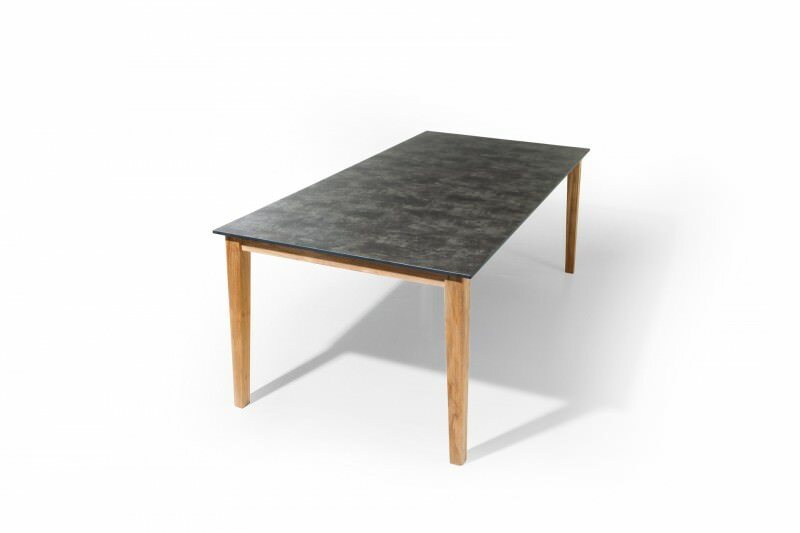 Our tables are all made from unbeatably weatherproof materials. 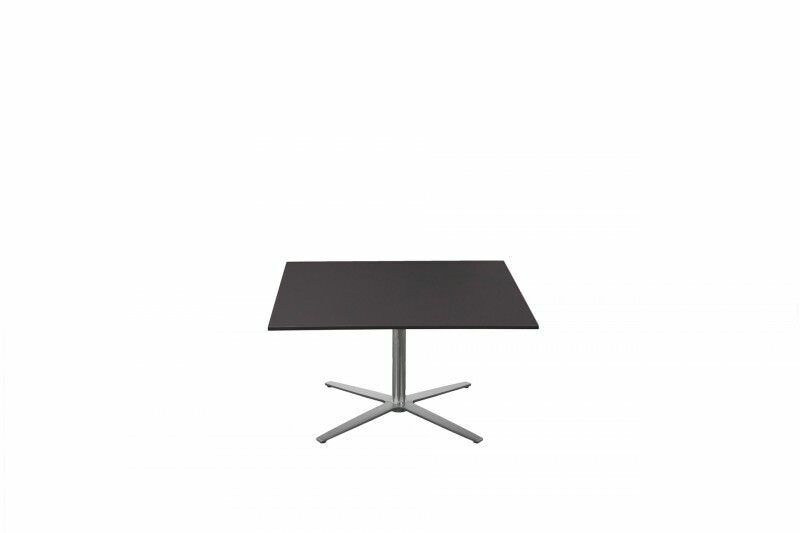 The table top of the KUBUS version shown here is made from strong high pressure laminate, known as HPL. 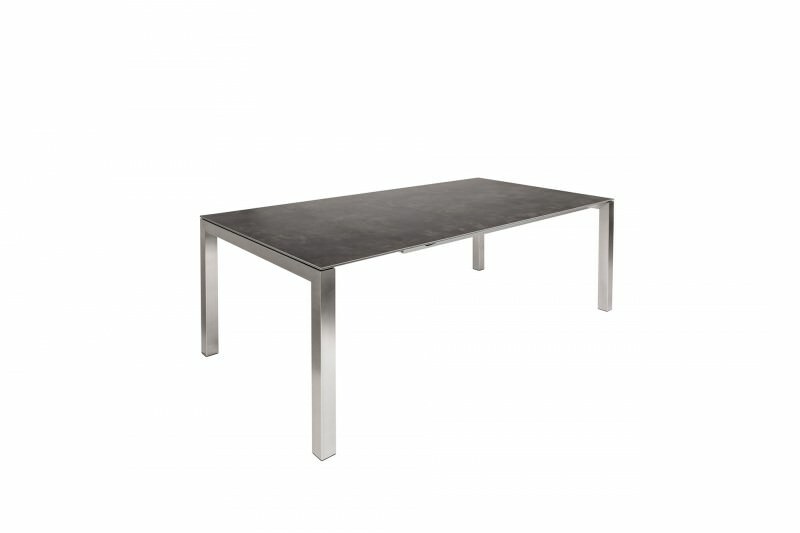 Its square shape is an understated reference to the typical bistro table that we all love so much. However, Quadro is much more subtle. You could almost say it tiptoes, because we left out all the unnecessary fripperies. 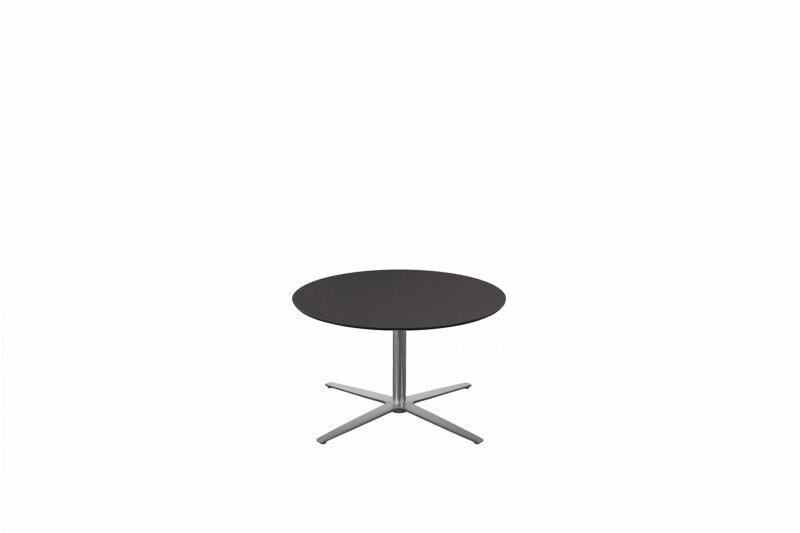 The bistro tables CIRCLE and QUADRO are available with beautifully shaped four-leg frames. Made as a single unit, and as always mitre welded (angle 45 degrees). Turning small into large: KUBUS+ 200 cm with 2 x 50 cm extension leaves in HPL blackstone with anti-fingerprint coating. 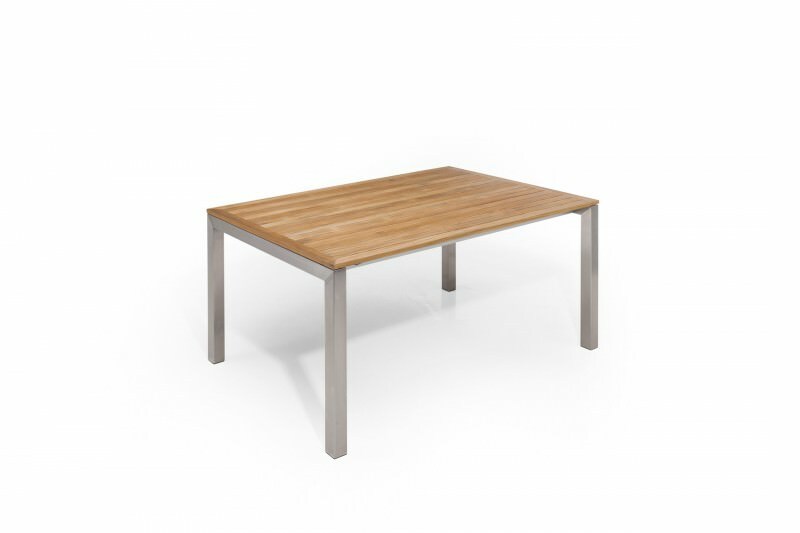 Our garden table Kubus+ stainless steel teak seen here is available in the lengths 160 cm and 200 cm. It can be extended from to 2.60 m or 3.00 m by adding two 50-cm extension leaves. The sturdy frame in brushed stainless steel houses the extension leaves. 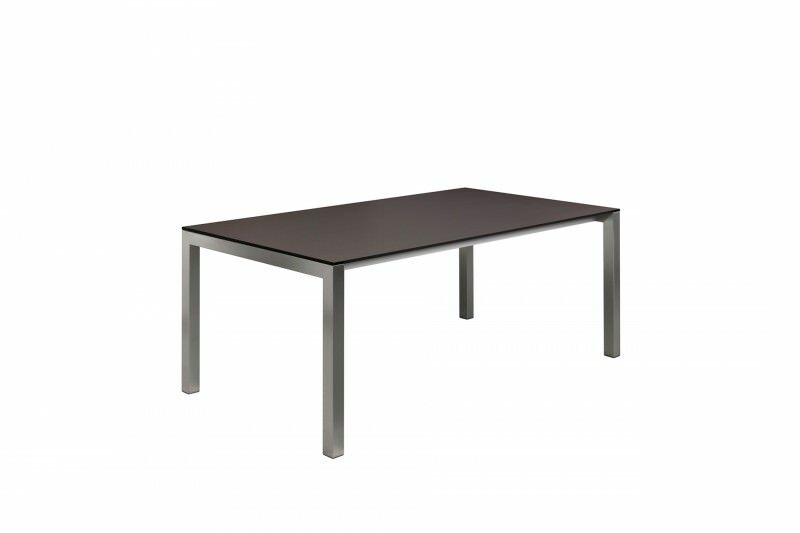 The table is available in two lengths (160 cm and 200 cm), and can be extended to 260 cm or 300 cm courtesy of two extension leaves.